This is the practice of increasing visits to web pages by making them rank higher in search engines like Google, Bing and Yahoo. 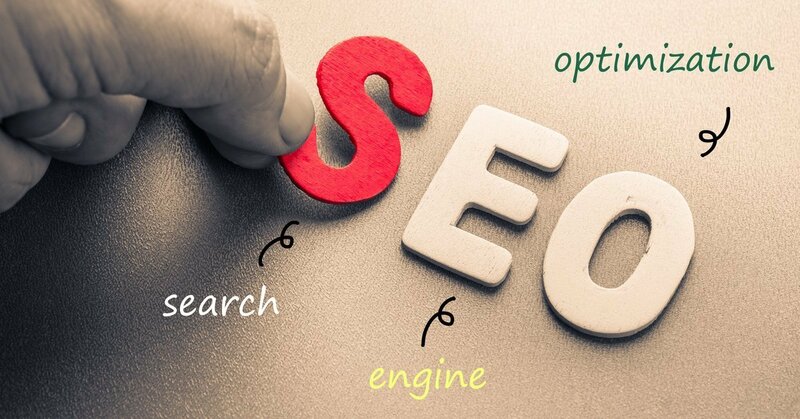 SEO involves various processes, such as enhancing the quality of content, improving the user experience of websites and helping sites gain relevant links. These factors lead to greater visibility in online search engines. This causes increased traffic to the sites, which can lead to more revenue. SEO is considered to be a subset of online marketing. It is a massive field with thousands of companies who specialize in it. Tons of books have been written about SEO and countless people have made a lot of money by using it to get traffic to their sites. If you have a business, then ranking high for popular search terms related to your business can give you a huge advantage over your competitors. When you type something into a search engine like Google, what you see is called a search engine results page (SERP). This page may have a few ads at the top, but then you see a list of blue links that are called the “organic” search engine results. In this case, organic means unpaid, as in search results that the search engines are showing users for free. They do that because they think that these results are good matches for the words and phrases (keywords) that people are searching for. In simple terms, SEO is the process of making websites rank as high as possible in these organic search engine results. The higher you rank, the more traffic you will get. It is absolutely crucial to rank in the top 10, which means your site will show on the first page of the search results. But your position on the first page is also important because the pages that are listed near the top get way more traffic than those listed at the bottom. Someone who is good at SEO can produce high-quality content and make it rank high in the search engine results. This leads to a lot of free traffic, which can be turned into money by serving ads or selling products on the pages. 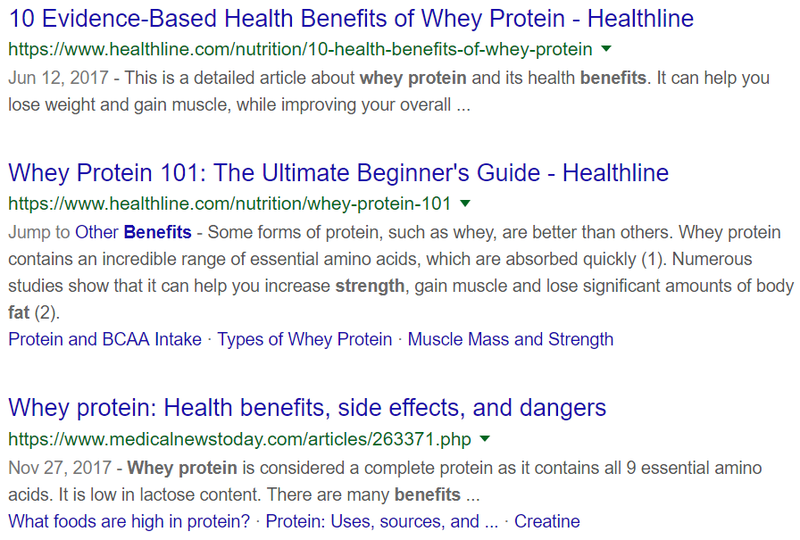 As an example, the keyword “whey protein” has a global search volume of 560 thousand searches per month. If you ranked #1 for this term, then you would get thousands of people to your page every day and could easily make lots of money from it. Bottom Line: SEO is about making sites show up in the search results when people type popular keywords into search engines like Google, Yahoo and Bing. The search engines use very complicated methods to decide which sites to show at the top. For example, Google uses hundreds of different signals, along with complicated machine learning algorithms and artificial intelligence. This sounds complicated, but it actually doesn’t need to be. A few simple practices may be all you need to get traffic from search engines. The overarching principle of SEO is to give users what they want. Put yourself in the mindset of people searching for things on the web and then create the best content available about what they are looking for. If you build a website that is incredibly useful for people, then the search engines will realize that and eventually reward you with traffic. That being said, here are some specific things you should do to improve your SEO results. First and foremost, you need to make absolutely sure that the search engines can visit your site. If they can’t visit your site, then they won’t even know that your pages exist. You should submit your site to Google Search Console to see if there are any problems accessing your site. Here is a detailed guide on how to do this. Also, make sure to install Google Analytics to figure out where your traffic is coming from and what people are viewing on your site. If it gets measured, it gets managed. If you want to get traffic from search engines, then you need to include the words and phrases (keywords) that people search for in your articles. You can use a tool called SEMRush to find which keywords people are looking for. But a good free alternative is called Keywords Everywhere. Make sure that the keywords are used naturally, don’t stuff them in places where they don’t fit. Write your text for people, not search engines. High-quality content is the single most important ranking factor in Google and other search engines. Your content should be well written, well organized and it should fulfill the search intent. What this means is that your content should give people exactly what they are looking for when they type the keywords into search engines. For example, if you are targeting the keyword phrase “benefits of walking” then your article needs to be about exactly that. People who land on your page after searching for this term should find exactly what they are looking for and see it as a definitive answer to their search query. If your article is the single best piece of content available on the topic, then Google should realize that eventually and place your page at or near the top. Also make sure that your content is well organized with subheadings, paragraphs and even lists and images. More people use a mobile phone to browse websites than computers. Your site needs to be accessible on all devices, including mobile, tablet and desktop computers. This can be achieved with a responsive web design, meaning that it adapts automatically to the size of different screens. This can be as simple as choosing a WordPress theme that is responsive by default. Providing a quality user experience is absolutely crucial to rank high in search engines. If your readers are bombarded with ads and popups or have to strain their eyes to read your text, then they won’t stay for very long and the search engines will notice that. Links are among the most important signals that Google uses to determine which sites to trust. For this reason, SEO sometimes involves outreach and building natural links from other sites that talk about the same topics. You need to make sure that your site is fast. Many people will simply abandon your site if it takes more than a few seconds to load. Because of this, site speed is an official ranking factor in Google. Bottom Line: Some common SEO practices include producing high-quality content, making sites fast and mobile-friendly, improving user experience and making sure that sites are accessible to search engine bots. Search Engine Optimization (SEO) is both an art and a science. It is an art, because it involves being creative and making high-quality content that people find useful. But it is also a science, because it involves various technical aspects of websites, such as improving the user experience and making pages load faster.